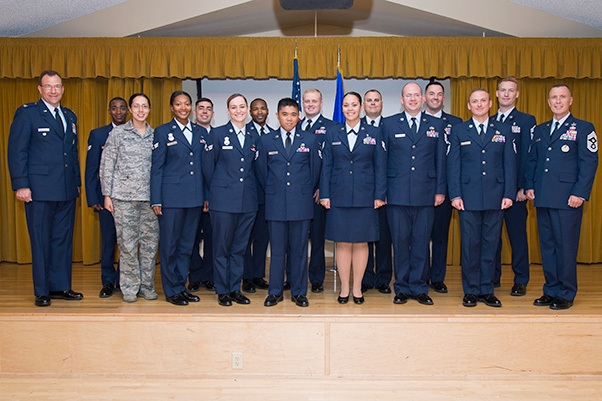 Some of Edwards AFB’s newest enlisted promotees pose for a photo Sept. 30 at Club Muroc. 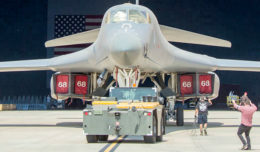 The Airmen are joined by Col. David Radomski (left), 412th Test Wing vice commander, and Chief Master Sgt. 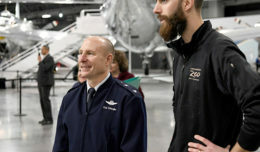 David Smith, 412th Test Wing command chief, on the far right. Team Edwards held its monthly enlisted promotion ceremony Sept. 30 at Club Muroc. Fellow Airmen, friends, family and co-workers got the chance to see their perspective Airman pin on their next stripe. Congratulations to all the Airmen who took the next step in their Air Force careers.